Maya Gislason is an Assistant Professor in the Faculty of Health Sciences at Simon Fraser University. Previous to this Dr. Gislason was a Postdoctoral Fellow in the School of Health Sciences at the University of Northern British Columbia supervised by Dr. Margot Parkes and is an Associate Researcher in the Centre for Global Health Policy at the University of Sussex in the UK. Maya is a medical sociologist who is recognised for her international and transdisciplinary efforts to bring the ecosystems approach to social epidemiological research both within the contexts of Medical Sociology and Public Health. Maya recently edited a book for Emerald’s Advances in Medical Sociology Series titled ‘Ecological Health: Society, Ecology and Health’ in which she has sought to bring critical social theory to ecohealth research and to strengthen medical sociological engagement with ecological health issues. In 2012 Maya completed a D.Phil in Sociology in the Department of Law, Politics and Sociology at the University of Sussex which was generously funded by the Commonwealth Scholarship in the United Kingdom and the Social Sciences and Humanities Research Council of Canada. Titled, “Health and the Environment: A Critical Enquiry of the Construction and Contestation of Ecological Health,” Maya’s doctoral thesis argued that a crucial contemporary public health issue is the construction and contestation of the relevance of the natural environment to human health. 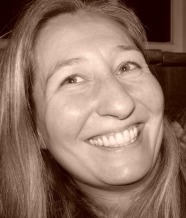 More generally, Maya writes and speaks about Ecological Health and Sociology in a variety of academic milieu as well as has been a guest lecturer and associate tutor for Sociology at the University of Sussex and the University of Victoria. Maya graduated as a scholarship student with a M.A. in Sociology (2006) and a B.A. with a double major in Sociology and Women’s Studies (2002) both from the University of Victoria. Prior to this, she collaboratively founded, managed and served as a community educator for the Wheels of Change Non-Profit Educational Society (1992-2002), running programs in North and Central America. Maya has also held the title of Co-Principle Investigator for the Arts Ability Research Project (2003-2004) and has served as a research manager and lead researcher on a variety of investigative initiatives ranging from narrative and archival research through to participatory action research and mixed methods qualitative and quantitative research projects. Cleaveland, Sarah, Markus Borner, and Maya Gislason. In press 2013. Engaging new partners in ‘One Health: Ecology and conservation contributing to ‘One Health’ in Stuart Slorach (ed) Coordinating surveillance policies in animal health and food safety: ‘from farm to fork’ Scientific and Technical Review. World Organization for Animal Health, 32 (2). Gislason, Maya K. 2012. “A Foucauldian Analysis of a West Nile Virus Pandemic” in Robert Dingwall, Lily Hoffman, & Karen Staniland (Eds). The Sociology of Pandemics: Crisis and Transparency in Social Order, Sociology of Health & Illness Monograph 19, pp. 21-32. Stassen, Stien, Maya K. Gislason, Pieter Leroy. 2010. Impact of environmental discourses on public health policy arrangements: A comparative study in the UK and Flanders (Belgium). Public Health, 124(10), pp. 581-592. Castán Broto, Vanesa, Maya K. Gislason and Melf-Hinrich Ehlers. 2009. Practising interdisciplinarity in the interplay between disciplines: Experiences of established researchers. Environmental Science and Policy 12, pp. 922-933. Gislason, Maya K. In Revisions. 2014. Addressing Quercus garryana: Erotogenic learning, ethics and Actions in Ashlee Cunsolo Willox and Karen Landman (Eds), Environment and/as Mourning: On Landscapes, Mindscapes, and Healthscapes. McGill-Queen’s University Press. Gislason, Maya K. (Ed.). 2013. Ecological Health: Society, Ecology and Health, Advances in Medical Sociology, Bingley: Emerald Group Publishing Limited. Gislason, Maya K. & Gillian A. Bendelow. 2013. “Introduction” in Maya K. Gislason (Ed) Ecological Health: Society, Ecology and Health, Advances in Medical Sociology, Bingley: Emerald Group Publishing Limited, pp. xv-xxi. Gislason, Maya K. Gislason. 2013. “Expanding the Social: Moving towards the ecological in social studies of health” in Maya K. Gislason (Ed) Ecological Health: Society, Ecology and Health, Advances in Medical Sociology, Bingley: Emerald Group Publishing Limited, pp. 3-22. Gislason, Maya K. 2010. “Sounding a public health alarm: Producing West Nile Virus as a newly emerging infectious disease epidemic” in Ananya Mukherjea (Ed), Understanding Emerging Epidemics: Social and Political Approaches, Advances in Medical Sociology, Bingley: Emerald, pp. 77-100. Melf-Hinrich Ehlers, Vanesa Castàn Broto and Maya K. Gislason. 2009. “Interdisciplinary research approaches to sustainability: The young scientists’ perspective” in Walter Leal Filho (Ed), Sustainability at Universities: Opportunities, Challenges and Trends. Frankfurt: Peter Lang Publishing, pp. 275-288. Gislason, Maya K, Melf-Hinrich Ehlers, Vanessa Castán Broto. 2008. Knowledge and Practice in Interdisciplinary Research. In Kluvankova-Oravska, T., Chovotoba, V., Jilkova, J., Sauer, P. (eds.) Institutional Analysis of Sustainability Problems. Bratislava: Slovak Academy of Sciences, pp. 225-270. Gislason, Maya K., Sue Proctor and Kari Krogh. 2004. Arts Ability Manual: Relationships of Trust. Winnipeg: Canadian Centre on Disability Studies. Proctor, Sue, Kari Krogh, Maya K. Gislason, Cassandra Phillips and Carolyn Combs. 2004. Canadian Centre on Disability Studies Final Activities Report: Arts Ability. Winnipeg: Canadian Centre on Disability Studies. Kendall, Diana, Vicki L. Nygaard, Roman Joerger and Maya K. Gislason. 2003. Social Problems in a Diverse Society: Instructor’s Manual and Test Bank. Toronto: Pearson Education Canada Inc.
“The Nature of Health: Exploring the Links between Health and the Physical Environment.” Invited presentation for the Northern British Columbia Citizen Series Webinars. 27 September 2012. “Earth My Body, Water My Blood: Health in an Ecosystem.” Sub-Plenary Paper for The British Sociological Association Annual Conference, Cardiff, United Kingdom, 16-18, April, 2009. “Parasite Conservation: Ethics and Ecological Health.” Invited paper presented to the Institute for Science and Society 2008 Seminar Series, University of Nottingham, UK, 23 October 2008. “Waking Up Along the Way: Basic Human Wisdom and Global Environmental Change.” Invited Paper presented at The Fifth United Nations Day of Vesak (UNDV), Hanoi, Vietnam, 13-17 May, 2008. ‘The wicked problems of ecological health research and practice.’ Presented in the symposium ‘Public health and the environment: Sociological perspectives’ organised by Prof. Nick Fox. British Sociological Association Medical Sociology Annual Conference, University of York, UK, 11-13 September 2013. ‘Student Contributions to Field-Building in EcoHealth.’ Co-convened and presented as a panellist in this symposium for the International Association for Ecology and Health’s Fourth Biennial International Conference, Kunming, China, 15-18 October, 2012. ‘Human Health, Planetary Health: Social Perspectives on Climate Change.’ Convened and chaired symposium of eight public health researchers and practitioners for the British Sociological Association’s Medical Sociology 44th Annual Conference, University of Leicester, Leicester, 5-7 September, 2012. “EcoHealth and the Arts: Science, Passion, Creative Expression.” Convened and chaired panel at EcoHealth2010: Global Health Challenges; Multiple Perspectives, London School of Hygiene & Tropical Medicine, London, UK, 18-20 August 2010. ‘Ecosystem Based Approaches to Accelerating the Millennium Development Goals: Working at the Interface between Health and Environmental Risk Reduction.’ Virtual Post-Conference of the 20th Canadian Conference on Global Health: Politics meaning and scope of sustainability and the Post-2015 Development Agenda. Ottawa, Canada, 27-29 October, 2013. “An Ecological Analysis of Austerity: Climate Change, Health, and Risk.” Poster – British Sociological Association’s 2012 Annual Conference, University of Leeds, Leeds, UK, 11-13 April, 2012. Policy and Practice.” Paper – EcoHealth 2010, Global Health Challenges; Multiple Perspectives, London School of Hygiene and Tropical Medicine, London, UK, 18-20 August 2010. “We are all in this together: Climate justice, ecology and medicine.” Paper – British Sociological Association’s 2010 Annual Conference, Glasgow Caledonian University, Glasgow, UK, 7-9 April 2010. “Ecology and Health.” Paper – the University of Sussex Sociology Research Seminar – Environment and Health, University of Sussex, UK, 26 May 2009. “Building Capacity: The Contributions and Contestations of EcoHealth Research within the New Public Health.” Paper – The International EcoHealth Forum 2008 (EcoHealth 2008), Merida, Mexico, 30 Nov. – 3 Dec. 2008. “Re-wilding Medical Sociology: The Ecological Determinants of Human Health.” Paper – the 40th Anniversary Conference of the BSA Medical Sociology Group, University of Sussex, Brighton, UK, 4- 6 September, 2008. “Ecological Health: A Novel Way to Respond to Newly Emerging Zoonotic Diseases.” Poster – the Health Protection 2008 Conference of the Health Protection Agency of the UK, University of Warwick, Coventry, UK, 15-17 September, 2008. “Public health alarms and neoliberal governmentality: Producing West Nile Virus as a newly emerging infectious disease epidemic.” Paper – University of Sussex, DPhil Sociology Seminar, 01 May, 2008. “Interviewing Trees: Reflections on the Sociological Imagination.” Paper – British Sociological Associations’ Annual Conference 2008: Social Worlds, Natural Worlds, University of Warwick, 28-30 March, 2008. “Ecological Literacies in Social Scientific Research on Health and Illness.” Paper – the Asia Pacific EcoHealth 2007 Conference, Melbourne, Australia, Nov. 30-Dec. 3, 2007. “West Nile Virus: A Foucauldian Analysis.” Paper – the British Sociological Association Medical Sociology Annual Conference 2007, Liverpool, UK, September 6-8, 2007. “Biophilia and Passionate Sociology: Tools for Making Sense of Health, Illness and Disease.” Paper – the 6th Global Conference – Making Sense Of: Health, Illness and Disease, Oxford, UK, July 9-12, 2007. “A Foucauldian Analysis of West Nile Virus.” – The Critical Geographies Conference, Vancouver, BC, Canada, October 21, 2006. “Creative Inclusion: People with Disabilities Shaping Research.” Paper – the 1st Annual Social Sciences Graduate Student Symposium, University of Victoria, BC, Canada, March 18, 2005. “Inclusive Reflective Practice in Research, Community Development and Training: Transforming Arts Programming for People with Disabilities.” Paper – The 3rd Carafax International Conference on Reflective Practice – Reflection as a Catalyst for Change in Gloucester, UK, June 23-25, 2004. “Experience and Empowerment in the Art of Research.” Paper – the Very Special Arts: Promoting the Creative Power in People with Disabilities in Washington, DC, USA, June 10-11, 2004. “Embodied Experience, Embodied Presence: Art and Disability within Institutions.” Paper presented at The 2004 Canadian Sociology and Anthropology Association Annual Meeting, Winnipeg, MA, Canada, June 3-6, 2004. “Transformative Research: Integrated and Collaborative Research in Cross Disability Arts Programming.” Paper – the Canadian Disability Studies Association Conference – Confluence and Coalition in Community: Creating Dialogue within Disability Studies, Winnipeg, MB, Canada, May 29-30, 2004. “Using Arts Programming to Transform Care Giving/Care Receiving Relationships for People with Disabilities.” Paper – PacficRim 2004: 20th Annual Pacific Rim Conference on Disabilities, Waikiki, Hawaii, March 29-30, 2004.